Israel Flag G.C.#16 - Israel flag or banner, comes on a spin tube pole. This is a beautiful flag to wave. 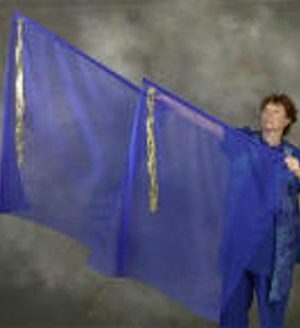 It is silk and flows beautifully. The message is Pray for the Peace of Jerusalem. It comes on a Spin tube pole and a free Prophetic Movement DVD which demonstrates movement to scripture. It also comes with a plastic bag to keep it in. 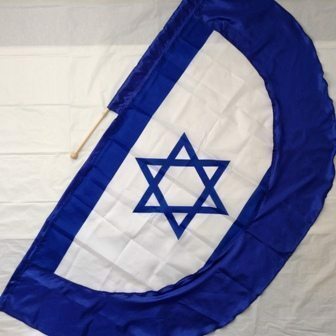 Twirl and whirl with this flag to symbolize the change that is coming to men’s hearts throughout the nations to support Israel. God’s Chosen, The Apple of His eye. 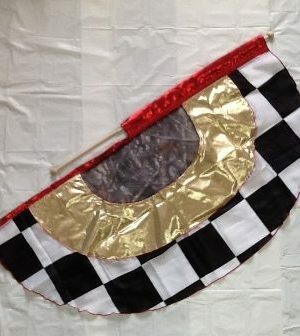 This flag measures 60 inches from tip to tip 30″ inches side to side, meaning from the sleeve that the pole goes through out to the outside edge. The lightweight wooden spin tube pole is included. This is a $10.00 value in itself! 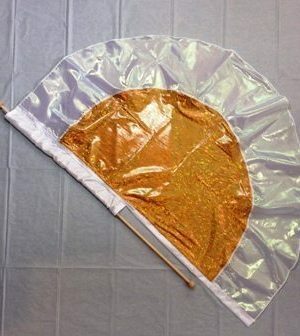 The flag is attached to a spin tube so the flag spins effortlessly as you wave and twirl it in praise and worship. You can stir the heavens, stir the earth, and the hearts of men without the fabric winding up around the pole. You will receive a Free Teaching/Demonstration of Prophetic Flag Intercession movements along with scriptural paperwork. 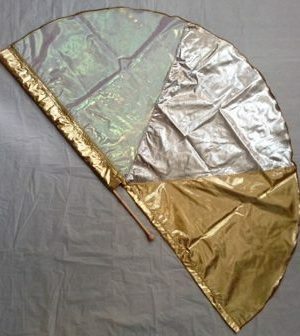 Your flag comes in a clear plastic sleeve to store it. We have added the option of which size pole you would like. Due to airline restrictions on what you can carry on board a flight. We have had reports of people unable to carry their flags on board without an extra charge, or worse yet they get them taken away because the poles are considered a weapon. Choose if you would like the standard pole size, which is 36 inches, or the 3 inches shorter 33-inch size that we call “Flight Friendly”. The Flight Friendly pole fits into a large suitcase if you lay it crosswise. Many like the smaller poles if they have space restrictions where they will be waving the flags.